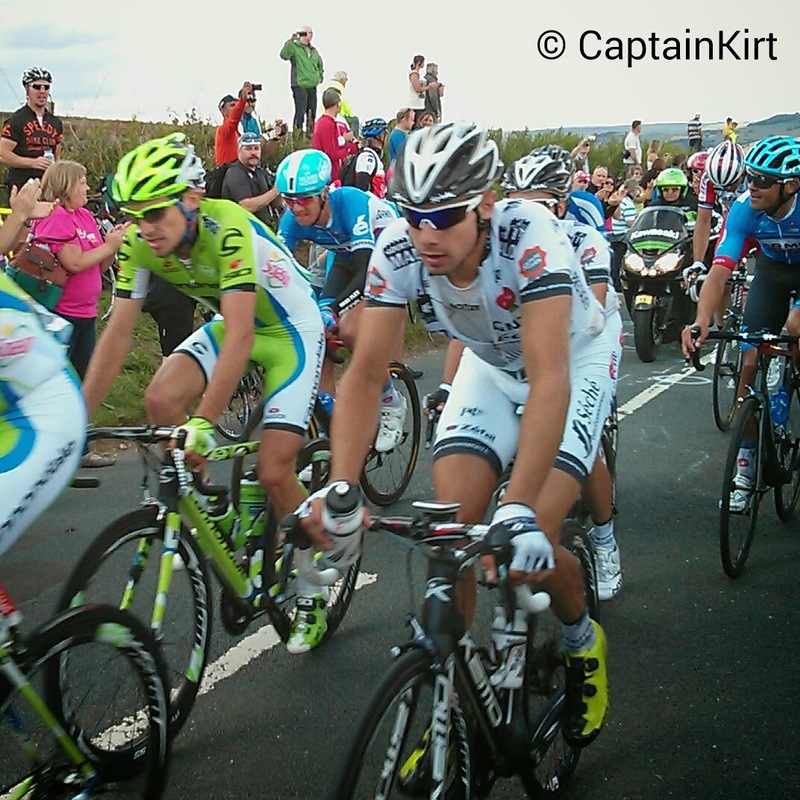 It's been my ambition for many years to go and see the Tour de France. It's therefore amazing that the Tour is coming to see me! It's on my doorstep, literally 1.5 miles from my door. I wanted to see the race out in the country and not in an urban environment, a place where the spectators would really want to be there and not just popping out to nosey at the spectical. Initally I was going to be camping out Langsett way but my friend who was going with me had to pul out due to illness. I came up with a plan to cycle out to the same area and find a good spot. I decided an early start would be best, after all I had know idea what to expect out there, a lot of campers were out there and I was determined to get a decent spot to watch. I set off at about 6am and cycled up through High Green where I left the city. I got a little off track the other side of Wortley but I soon found the right road. It was about an hour before I came across other cyclists. I arrived at Bank View Cafe at around 7:30-8:00 for refreshments. 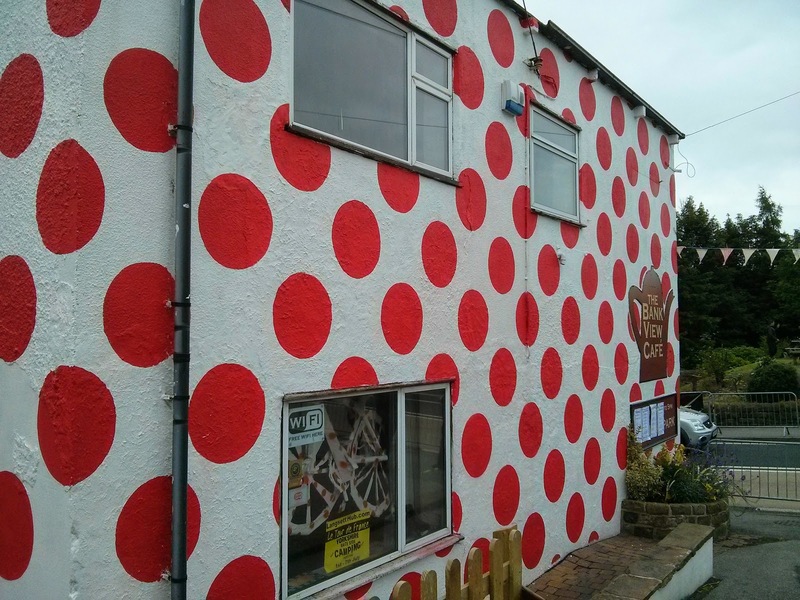 It was there I got talking to cyclists from the Emley White Horse Wheelers. 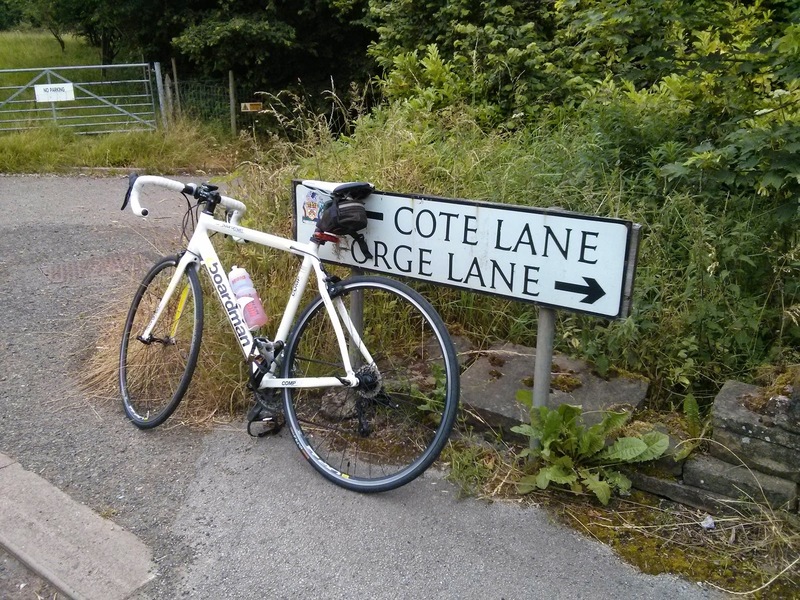 I then had a choice, to ride towards Holme Moss or Midhopestones. 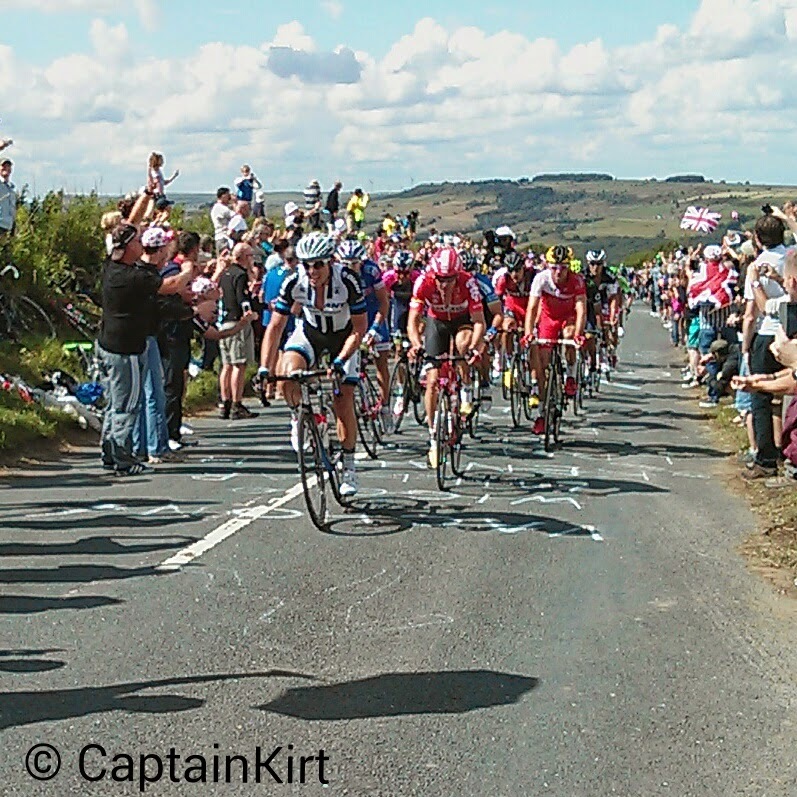 Holme Moss promised huge crowds (especially after what I saw at Cote de Buttertubs the day before). Cote de Midhopestones it was, if that wasn't suitable I planned to carry on until I found somewhere. 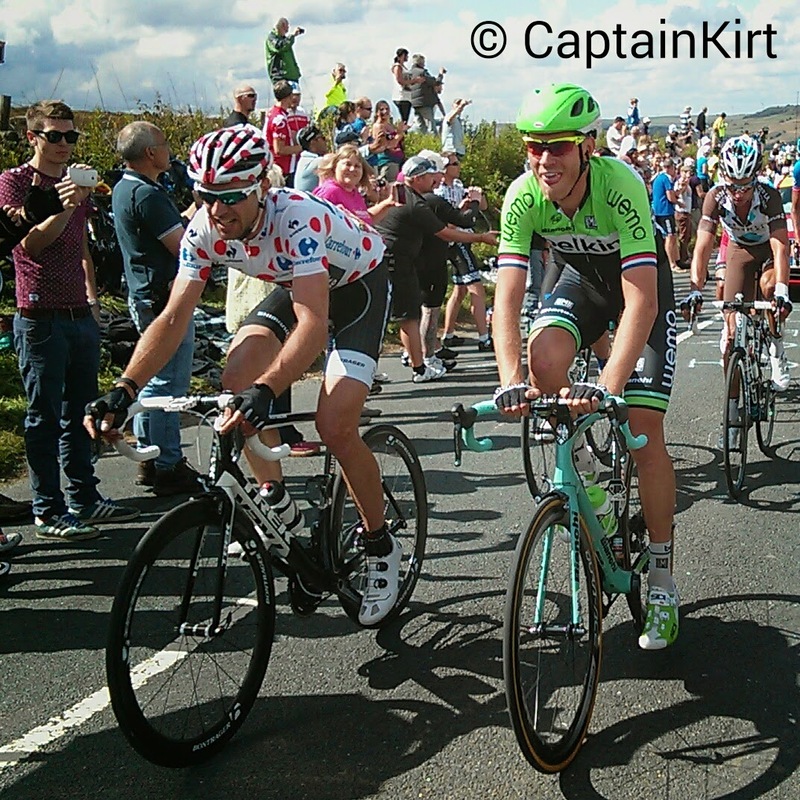 I cycled the catagory 3 climb that was Cote de Midhopestones, At the sumit there were a few people and it loked like a good spot to see the riders coming up the hill. I copped a squat and got comfy, it was going to be a long wait (I had sandwiches). There were so many other cyclists there the atmospere was awesome, I spoke to so many people. The day passed so quick and as time passed more peple arrived. There was the promoters caravan which was dissapointing but not what I was there for. The word passed around that the riders were near, then we saw the television helecopters flying towards us. The first group flew up the hill that hours before I was blowing out of my arse while I climbed. I watched the groups pass shouting and waving as they did. 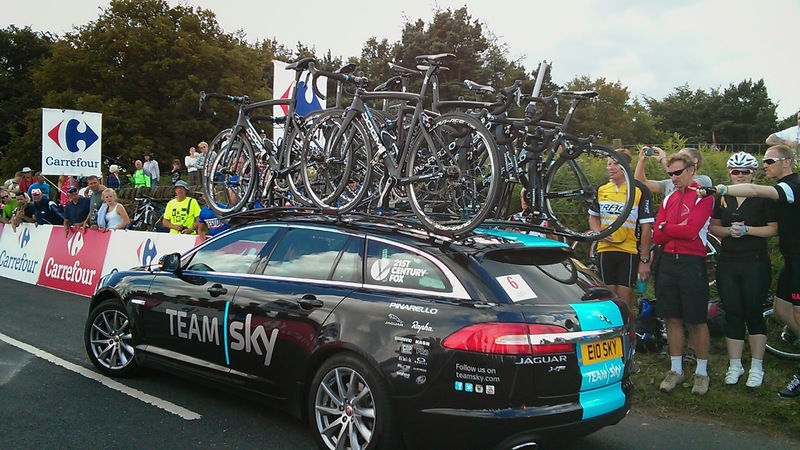 After all the riders, support vehicles and stragglers passed it was time to go. The ride home took me through Bradfield along with hundreds of other cyclists. I wanted to follw the route but the shear volume of people meant it was impossible. The crowds thinned out at Hillsborough and I headed towards the finishing line at the Motorpoint Arena. They were clearing up by the time I got there. 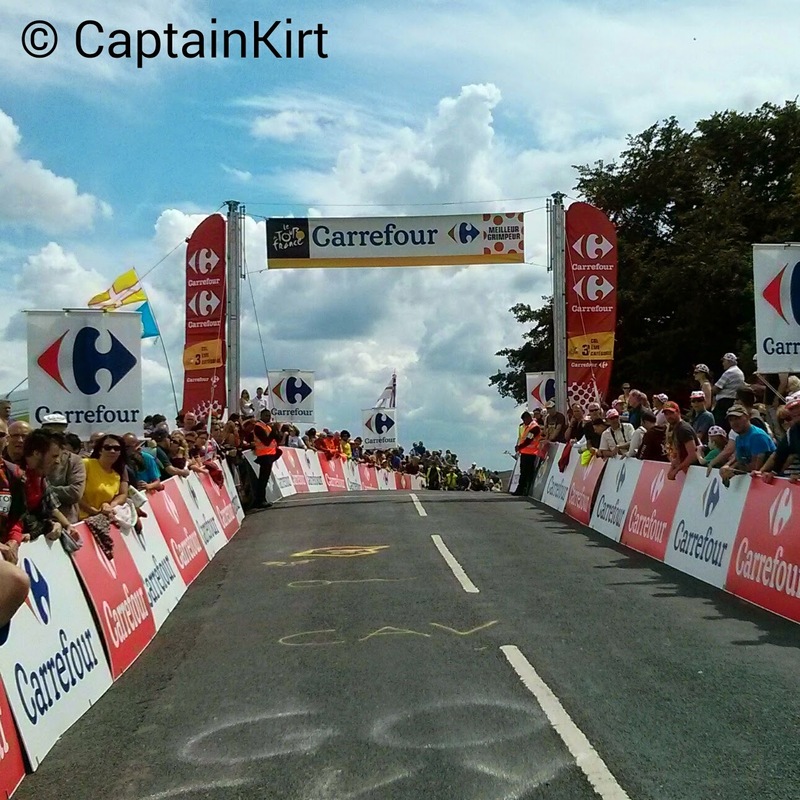 I got home and watched the race on TV, I saw myself as Marcel Kittle passed the summit where I'd spent the day. My words can't express the excitement, the feeling and the vibe of the of the day. It was a day I will always remember. We didnt see it when it passed through Chelmsford as its not really our thing. I can understand that. I don't like football (or many other sports really). It was a life event for me and the month of July is always when I watch the Tour on TV.